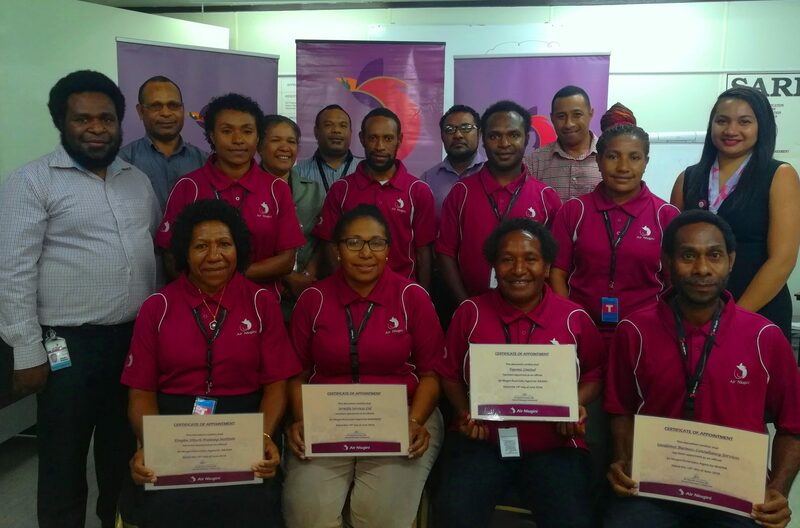 Air Niugini has appointed four Rural Sales Agents (RSA) so far to represent the airline by providing their services including sales of ANG tickets to customers in underserviced, rural communities who do not have direct access to ANG services. The RSAs are local business men and women in rural communities whom ANG has identified and equipped with tools to act on behalf of the airline. They are recognized and endorsed by ANG as its brand ambassadors and the airline supports them to provide a complete solution for its clients. The four RSAs appointed so far include Maprik in East Sepik Province, Kainantu- Eastern Highlands and Banz and Kudjip in Jiwaka who have already started selling ANG tickets towards the end of last month. The Maprik RSA is located at Unidomet Business Consultancy premises in new town, Jerutifa Services Limited Premises in Kainantu, Kingku Travel within Kingku Stationary building at Kudjip junction and Topoinz Limited premises located along Kudjip/Banz road, both at Jiwaka. Another six additional rural sales agents will be appointed soon across the country. Air Niugini’s General Manager Commercial, Mr Dominic Kaumu said the RSA initiative is part of the airline’s commitment to service the rural population as ANG understands the challenges people face moving to and from rural areas into towns and cities to access airline services. “With local representation, people in rural areas including local businessmen and women and the everyday people do not have to travel long distances at significant costs and greater risks to get to a sales office to purchase ANG tickets or services, they can access these services right where they are. Mr Kaumu also said the RSA business concept is not new, however in this day and age the concept has been further enhanced with technologies such as the online booking engine and the development of ANG’s Commercial Service Centre; which ensure convenience for the airline to support its ambassadors. As part of the preparation, two weeks ago Air Niugini hosted a group of four RSAs and their partners – two representatives each from the four pilot project areas – for training on basic aspects of the business in Port Moresby including ticketing and reservations, online booking, customer service, cargo acceptance process and procedures, as well as dangerous goods acceptance. “The knowledge gained from this training will enable our ambassadors to confidently represent the airline. They should be able to serve our clients effectively and efficiently. ANG had also provided induction training and a familiarization walk through the organization to give the RSAs a basic idea of how ANG operates, what’s expected of them and how the airline can assist them to ensure they effectively represent ANG. “If you are in Maprik, Kainantu, Banz or Kudjip, we would like to encourage you to fully utilize this service by visiting ANG rural sales agents for your travel needs as this distribution medium was developed specifically for you. If you are looking for best fares, these agents have access to our cheapest fares online therefore they are highly recommended for your next travel booking.” Mr Kaumu concluded.